Since my last update I've been very busy! 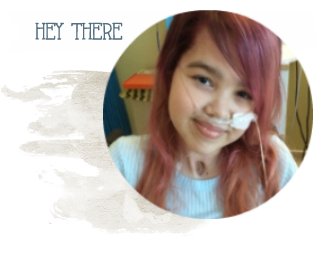 Last week I stayed in my local hospital for 2 nights to have some tests done, as I am going up to Great Ormand Street Hospital for a lung transplant assessment. This doesn't mean that I'm having a lung transplant for sure, but it's good to get GOSH's opinion. We're hoping that I won't need a transplant though. The tests I had done were; a CT scan (I didn't like this as they had to put a contrast dye in through my cannula and it really stung, and gave me a burning feeling all over my body! ), chest x-ray, overnight capnography (to test for carbon dioxide, relating to oxygen levels), lung function (my lung function is up to 28 percent, which is 4 percent more than last time) and blood tests. We also had a meeting which a lot of different people attended, to put together my care package and set up things that I need at home to make me more comfortable. I think overall it was very positive! 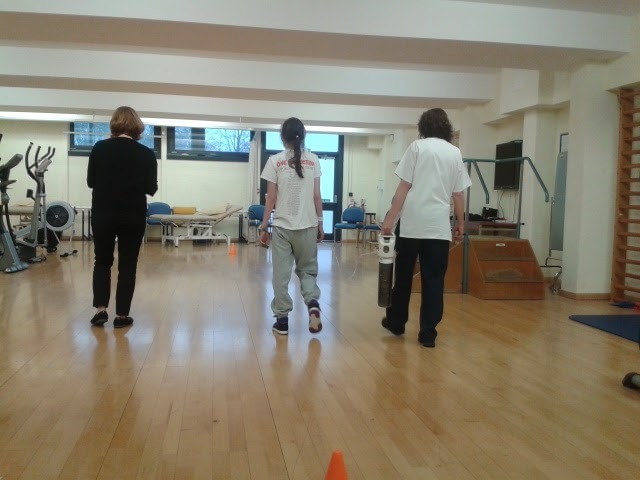 I did a walk test with my physio too, where I had to walk as far as I could in 6 minutes. I walked 155 metres in 5 minutes, with a 1 minute break in the middle. I was quite pleased with myself and the physio was surprised at how well I did! When I was on the ward, my friend Molly was also staying on the ward, so it was nice to see her and catch up with her! A couple of weeks ago we also went to Exeter for clinic, and to meet with the diabetic consultant. I have started a new type of long-acting insulin called Insulatard, which I have in the morning, ,and if my blood sugar goes above 10, I have to take an injection of Novorapid insulin, too. As it was Mother's Day yesterday, my Mum, Dad, sister and I went for a walk on Marine Drive. It was really sunny! I took lots of photos with the camara that I got for Christmas, and had a really nice time! Afterwards we went for an ice cream in the village. When we got back home I had a sleep and then we watched a bit of the Woman in Black =O! Happy Mother's Day to my lovely Mummy for yesterday, I love her so much and she is always there for me! She is the best Mum in the world. You can like my Facebook page here, friend request me on Facebook here or follow me on Instagram and Twitter! I will accept everyone's friend requests and follow you back if you ask! Numerous companies can complement their key marketers using multiple sub-distributors, small separate rep teams, was able rep teams in addition to single celebrity separate income reps. You will find multiple positive aspects to help aligning in addition to boosting your marketers income using separate reps in addition to rep teams. Specialized area of interest separate reps usually are famished and frequently really variable. medical reps will continue to work with out substantial methods supplied by the manufacturer or maybe the corporation brand name. Independent reps in addition to separate rep teams can utilize their skilled human relationships many people curently have established in the past. your current rule connected with universality involving human rights would be the cornerstone regarding international human rights law. the particular principle, In the same way initial emphasized for the Universal Declaration on Human Rights with 1948, have been reiterated in several international human rights conventions, declarations, AND resolutions. ones 1993 Vienna World Conference with Human Rights, pertaining to example, noted This Human right This really is your current duty connected with STATES to be able to promote AND protect many human rights IN ADDITION TO fundamental freedoms, regardless regarding it\'s political, economic ALONG WITH sociable systems.